Ocho Rios is a former fishing village on a wide bay that was developed for tourism in the mid-1980s. The frequent docking of cruise ships (sometimes three in a day) at the central pier that commands the town’s focus gives Ocho Rios a slightly ‘packaged’ feel. The town has a relaxed vibe when there’s no ship in dock. 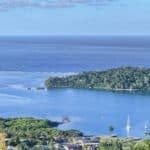 Tourism has endowed the town with a great eating scene, lively nightlife, and a plethora of guiding companies offering everything from scuba diving to zip-line tours. Throw in some of Jamaica’s best waterfalls on its doorstep, and Ocho Rios makes an excellent base for exploring the north coast. 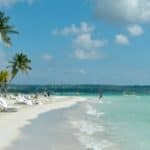 Ocho Rios Vacations is a great way to enjoy a great beach destination with so much more to offer. And for other great Jamaica beach destinations, visit our Jamaica Travel Guide. July is the hottest month in Ocho Rios with an average temperature of 83°F and the coldest is January at 76°F with the most daily sunshine hours at 11 in July. The wettest month is October with an average of 130 mm of rain. The best month to swim in the sea is in July when the average sea temperature is 84°F. The best time to visit Ocho Rios is November to mid-December. 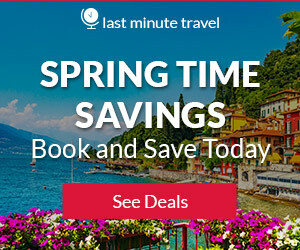 That’s when Ocho Rios’ already beautiful weather (ranging from mid-70s to the high 80s all year-round) is the most pleasant and the hotel and flight deals are the easiest to find. Rates are also cheap during the summer, but you’ll risk the wrath of hurricane season. January to March is the peak travel season to the island — room rates can spike to more than $700 per night at some hotels. All United States citizens will need a passport for entry into and exit out of Jamaica. Customs officials may ask you to provide evidence of sufficient funds for your stay plus evidence of a return trip to the U.S. or an onward journey. A departure tax is generally included in the cost of your airfare; you won’t be charged an additional fee upon leaving Jamaica. For more information on entry and exit requirements, visit the U.S. State Department’s website . Most travelers rent vehicles in Montego Bay or Kingston, but there are some car rental agencies in Ocho Rios. The two local car rental companies to rent from are Bargain Rent-A-Car 876-974-5298 (Pineapple Place), and Island Car Rentals 876-974-2666 (Carib Arcade, Main St.). Taxis are the most popular method of transportation for travelers. You can find one at any hotel, the airports and in most shopping areas. If you need to call for a taxi, contact the official carrier: Jamaica Union of Travelers Association or JUTA (876-974-2292 in Ocho Rios). Taxi rates vary, but the charge is by car, not by the number of passengers. If you accept a driver’s offer of his services as a tour guide, be sure to agree on a price before the vehicle is put into gear. Fares average about US $5-7 for 10 miles. You can also opt for a bus. Slow, crowded buses (often minibuses) will stop anywhere along the route to pick up passengers. To catch one, stand by the side of the road with your arm outstretched; pat down with your hand when you see an oncoming bus. Bus fare is about US $1 for 30-40 miles. At about 180 feet high and 600 feet long, the waterfalls are terraced like giant natural stairs. Several small lagoons are interspersed among the vertical sections of the falls. The falls empty into the Caribbean Sea at the western end of an attractive white-sand beach. Climbing the waterfalls is popular and takes about 1-1.5 hours to climb with short breaks. There are also stairs, alongside of the falls, for those who do not want to get wet or are unable to manage the rocky, uneven terrain of the actual waterfall. The Blue Hole is divided into two sections. There is the main Blue Hole with its turquoise Blue waters that just begs you to jump in. The view is surreal. If you are feeling adventurous there is a Tarzan swing you can use. The Blue Hole is somewhere you want to relax and inhale the beauty that surrounds you. The other section of the Blue Hole is the waterfall section. This waterfall is around 20 feet in height. There is a path that runs along the river. You will rejoin the river further upstream. The waterfall is a 7-minute walk from the Blue Hole. Across the road from Dunn’s River Falls in Ocho Rios, popular Dolphin Cove is a marine park offering up-close critter encounters. 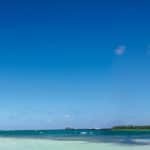 The five-acre property encompasses a natural cove where you can snorkel with stingrays or paddle around on a glass-bottom kayak, surrounded by rain forest. The dolphin encounters are the highlight here. 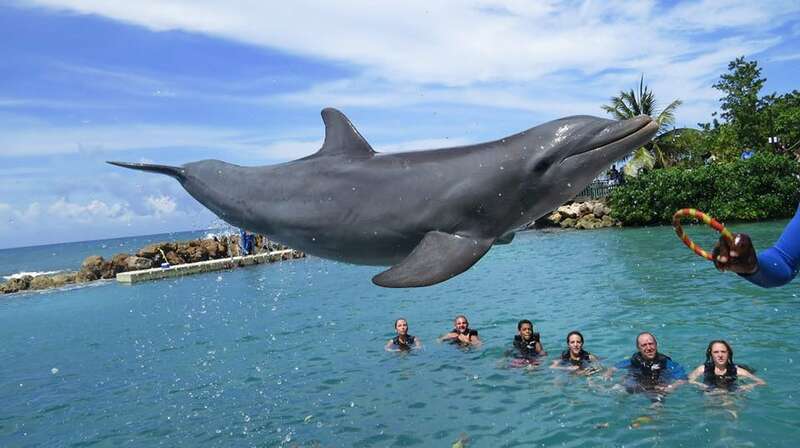 Each visitor scores plenty of time with these gentle creatures, including the chance to hold and feed the dolphins as well as swim with them and enjoy a dolphin “kiss.” You can also ride a camel; watch a shark show; and see iguanas, snakes, and tropical birds on the Jungle Trail walk. 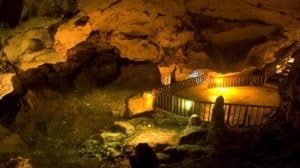 About 30 minutes’ drive from Ocho Rios in Runaway Bay, the Green Grotto Caves are Jamaica’s best-known limestone caves. They were once used by the Arawak Indians and were also the reputed hideaway of escaped slaves and Spanish settlers fleeing from the British. In more recent times, they were also used as a backdrop for a Bond movie. Today, they are home to bats and snakes. Guided tours share the history of the caves and show you the beautiful stalactites and stalagmites, as well as an underground lake. The slippery paths and many stairs might be a challenge for those with physical disabilities. 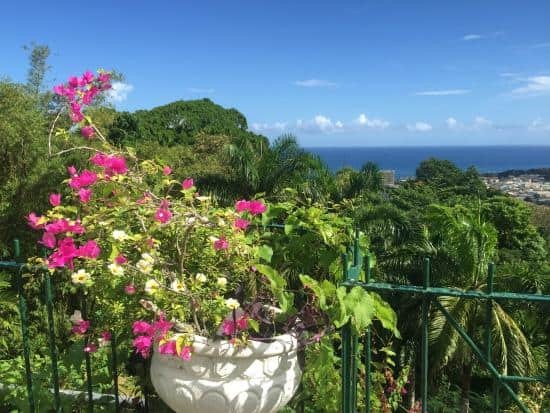 High in the hills overlooking Ocho Rios and the Caribbean, Shaw Park Gardens is a sanctuary for nature lovers. Within the 25-acre grounds, you can stroll through lush botanical gardens punctuated by tropical blooms and lily-topped ponds. Many species of birds flit through the trees, including Jamaica’s national bird, the doctor bird, also called the swallow-tailed hummingbird. A waterfall cascades through the gardens, and friendly guides share their knowledge of all the botanical beauties. At Marvyn’s Paradise Tours they provide some of the most fun filled , personalized and cultural tours at some of the most beautiful parts of Jamaica. Enjoy crystal blue waters, adventure, history, music, lavish greenery, Authentic cuisine, amazing waterfalls and great duty free shopping. You will get the chance to experience the best of Jamaica that many visitors just don’t get to see. For more information call +1 876-413-7755, or visit them on the web at Marvyn’s Paradise Tours. 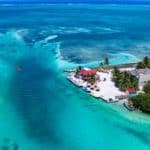 They operate private day tours, excursion, tour activities and sightseeing tours from Ocho Rios Cruise Port, Falmouth Cruise Ship Port and Montego Bay Cruise Ship Port. For more information call +1 876-454-7079, or visit them on the web at Dr. Fun Tours. In ScubaCaribe they are experts in fun and adventure and like to share with each of their clients. In all the destinations in which they are located, the dive centers are classified as “PADI 5 Star Dive Centers”, which guarantees high quality in all services related to scuba diving. In addition, they manage the equipment and activities of “all inclusive” for various hotels around the world. This means that customers can enjoy various options for free. For more information call +1 809-552-1435, or visit them on the web at ScubaCaribe. Sun Star Water Sports is proudly Jamaica’s number 1 in ensuring a great experience whether it be water sports or entertaining activities in the island’s beautiful aquamarine Caribbean Sea. 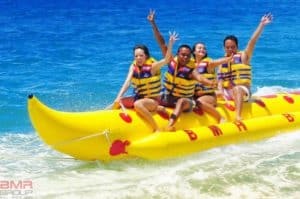 There is a variety of different activities that can be done including: Jet Skiing, Jet Pack Water Flight, Snorkeling by the Coral Reef, Parasailing, Scuba Diving, Banana-boat rides, Deep Sea & Bottom Fishing, Glass Bottom Ride, Sunset Catamaran Cruises and Swimming with Dolphins. For more information call +1 876-278-8772, or visit them on the web at Sun Star Water Sports. BluFish Dive Center is located in Ocho Rios, Jamaica. Their primary services are scuba diving, PADI scuba certifications, snorkeling and swimming lessons. Shore Diving, Deep sea fishing, boat tours, and glass bottom boat tours available on request. Focused on small group outings with attentive service, your adventure will be customized for you – and will be one you will remember! For more information call +1 876-575-5395, or visit them on the web at BluFish Dive Center. Sharkies is an exquisite seafood restaurant that is located on the beach of Salem, Runaway Bay. We offer tantalizing entrees and platters such as fish, conch, shrimp, lobster among others done in a variety of ways. For more information call 876-973-5472, or visit them on the web at Sharkies Seafood Restaurant. The Almond Tree gets consistently positive reviews from diners. Not only for its great food, but also its fun atmosphere – its bar has swinging rope chairs and tree growing through the roof. You can eat breakfast, lunch, or dinner here while enjoying fantastic views, especially if you sit on the upper desk. It serves a mixture of Continental and Jamaican cuisine with great seafood on offer. For more information call +44 7788 134355, or visit them on TripAdvisor at Almond Tree. The restaurant is owned and run by an Italian family that has been running restaurants for generations. The menu changes depending on what fresh produce is available at the time. Not only is the food excellent, the wine menu is fantastic too. You can eat inside or outside on the veranda, but regardless of where you choose it is a good idea to make reservations. Dishes are classic Italian fair with the chef willing to work with vegetarians. For more information call +1 876-975-4785, or visit them on the web at Toscanini Tower. Evita’s is a wonderful mixed menu of northern Italian cuisine and special dishes that fuse Italian and Jamaican flavors. The atmosphere is casual with the restaurant set in an 1860’s Jamaican gingerbread house. Diners can eat indoors or al fresco. Reviews of this eatery speak for themselves. Diners are given a friendly welcome, good service, high quality food, and breathtaking views. For more information call +1 876-974-2333, or visit them on the web at Evita’s Italian Restaurant. Sitting high above Ocho Rios the views from this restaurant are spectacular. And if that isn’t enough head to the top of the restaurant’s Lookout Tower for panoramic views of the town and bay. In the evenings the atmosphere is fine dining on a fusion of Caribbean and Jamaican cuisine. Lunchtime dining is a more casual affair if you want a more relaxed experience. For more information call +1 876 285-9786 , or visit them on the web at Mystic Dining Restaurant & Bar. Little Pub is a favorite with tourists, and offers hotel accommodation as well as night-time entertainment. A live band plays six nights a week; regular karaoke sessions and cabaret nights are also offered. There is a dress code for entry to Little Pub; sports events are shown on the club’s TV screens. For more information call +1 876-795-1831, or visit them on TripAdvisor at Little Pub. A classic Jamaican dancehall, this remains the happening scene. Theme nights include an oldies jam on Sunday, ladies’ night on Thursday (free entrance for women) and an after-work party on Friday. This is all leading up to Saturday’s dress-to-impress all-night dance marathon. For more information call +1 876-974-2633, or visit them on the web at Amnesia. The big TV above the bar screens the latest football games and the outdoor terrace is perfect for a beer, a burger and a spot of people-watching on the main street. The beer is cold and there’s a wide selection of rum. For more information call +1 876-974-5895, or visit them on the web at John Crow’s Tavern. This corporate franchise has turned getting drunk into big business. The music is loud and the signature margaritas don’t come cheap, but many tourists find the orchestrated good-time vibe to be irresistible, and it’s popular with middle-class Jamaica visitors too. Admission is charged for special events, such as their Wet’n’Wild Pool Party. For more information call +1 876-675-8800, or visit them on the web at Jimmy Buffet’s Margaritaville. Many of the hotel bars in Ocho Rios offer regular live music — cabaret shows and limbo dancing are popular events. Nightclubs specializing in live music include Glenn’s Jazz Club (+1 876-975-4360), which features live jazz. White River Reggae Park (+1 876-929-4089) books outdoor reggae sound systems, and the Village Green (+1 876-974-8353) books live music on weeknights. Located only 8 miles from Dolphin Cove Ocho Rios in Ocho Rios, LouJan @ The Palms provides accommodations features a terrace, garden and outdoor pool. Guests staying at this villa can use the free WiFi and a fully equipped kitchen. Providing access to a patio, this air-conditioned villa comes with 3 separate bedrooms. The villa also has a flat-screen TV, and a bathroom with a bath and a shower. 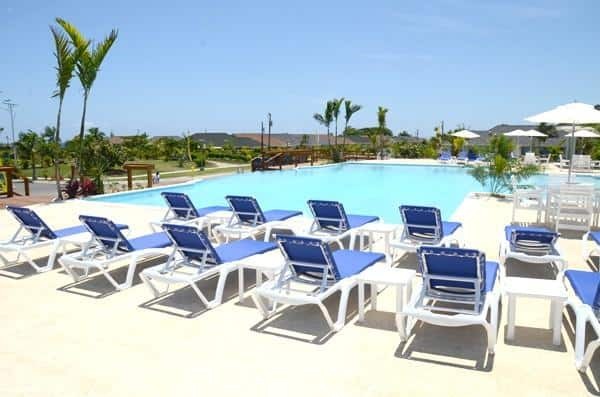 The villa offers 5-star accommodations with a fitness center and playground. A private beach area is available on site. For more information, pricing, or to reserve your stay visit LouJan @ The Palms. 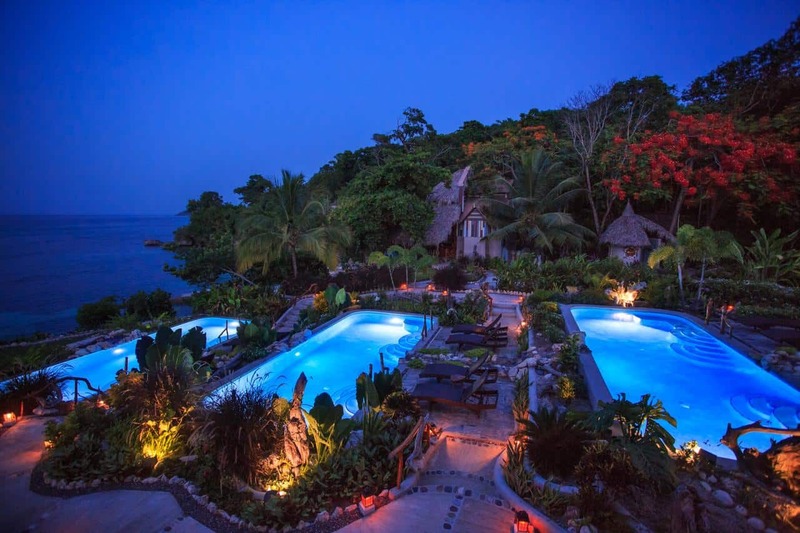 This complex is nestled on Jamaica’s Gold Coast amid 12 acres of tropical gardens, 1,650 feet from Mahogany Beach. It features artful-design, Caribbean-style boutique luxury villas with swimming pool, free Wi-Fi and free continental breakfast. The secluded villas offer a ceiling fan, seating area, flat-screen TV and terraces with garden views and footsteps from the beach. The bathrooms include a shower and the kitchens are equipped with all facilities for guests to make their own meals. The restaurant Cristopher at Hermosa Cove Villa Resort & Suites serves island meats, seafood, and locally produced fruits and vegetables. Isabella’s Rum Bar offers fruit cocktails, and guests can also request room service. 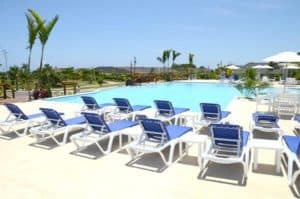 For more information, pricing, or to reserve your room visit Hermosa Cove Villa Resort & Suites. 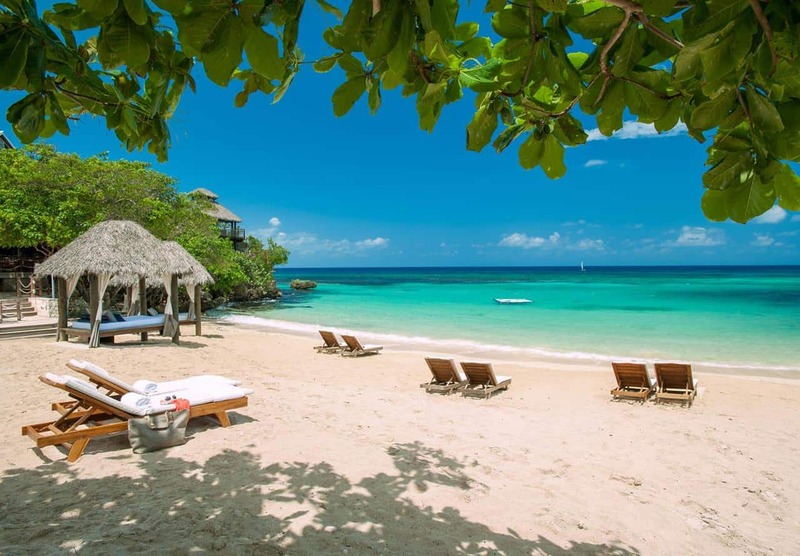 Sandals Royal Plantation All Inclusive – Couples Only is located in Ocho Rios, 3.5 miles from Dolphin Cove Ocho Rios, and provides free WiFi. Featuring free shuttle service, this property also provides guests with a restaurant. The property has sea views, a year-round outdoor pool and a 24-hour front desk. All rooms come with a flat-screen TV with satellite channels, a coffee machine, a bath, free toiletries and a desk. Every room includes a private bathroom with a hair dryer, while selected rooms include a balcony. For more information, pricing, or to reserve your room visit Sandals Royal Plantation. 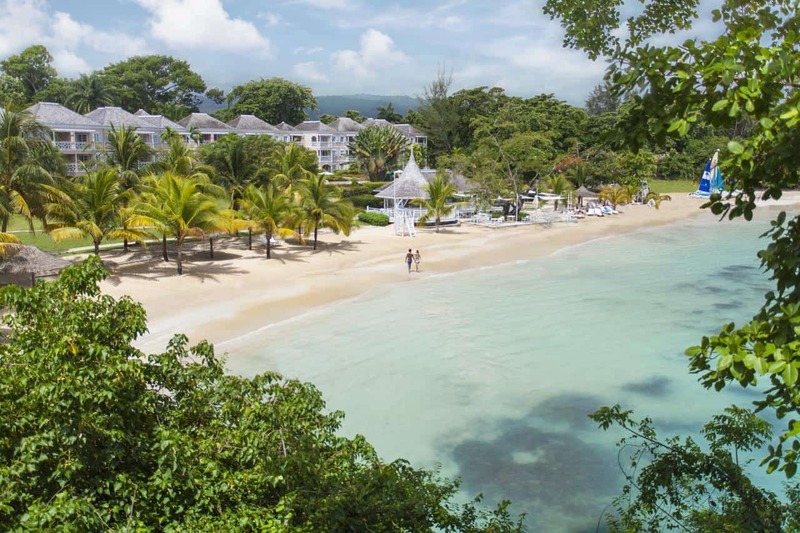 Featuring an outdoor swimming pool and tennis court, as well as a restaurant, Sandals Ochi Beach All Inclusive Resort – Couples Only is located in Ocho Rios. Among the various facilities of this property are a garden and a terrace. The property provides evening entertainment and a 24-hour front desk. At the resort, the rooms include a desk and a TV. The rooms come with air conditioning, and certain rooms are contain a balcony. For more information, pricing, or to reserve your room visit Sandals Ochi Beach All Inclusive Resort. WOW! What a brilliant and heavily research article. Saving me a ton of time looking elsewhere when I don’t really have the time. Ocho Rios Vacation sounds like the ticket for me after the new year. Need to head off somewhere warm and chilled. Will show this to my partner and see if that appeals to her as well. Great site and thank you kindly LeaRae for your amazing website and all your work. Ocho Rios looks stunning, all the pictures really make me want to visit, especially now because where I live it is cold and snowy. 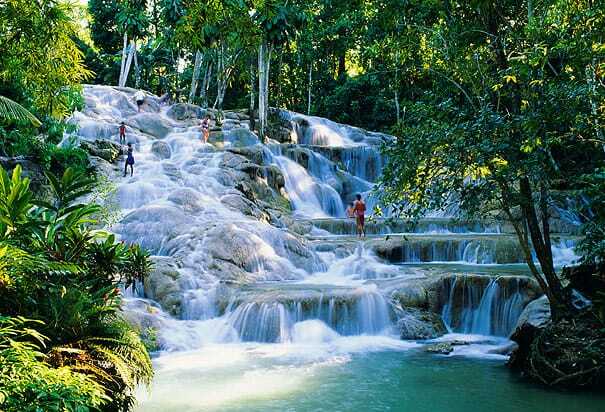 The Dunn’s River Falls would be a must for me, so beautiful, as well as the Blue Hole. The Dolphin Cove sounds really fun too. Taking the bus I imagine would be the cheapest mode of transport? I like how you go into great detail and list restaurants and their price points. The Almond Tree sounds like a fun place, with swinging rope chairs. Thanks for sharing your information, I might be planning a vacation soon. Great Jenny and thanks for stopping by beach travel destinations. 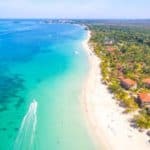 Hi, I was just over at your page about Negril, Jamaica a few minutes ago. The picture of the people riding horses on the beach caught my attention here. 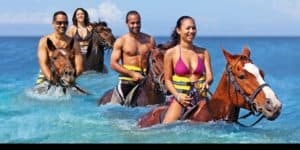 Are there a possibility to ride horses at Negril? I really do like your website. You have provide the information I need to plan my trip. Thank you! Yes, you can ride horses in Negril as well. And out of all the locations in Jamaica, I think Negril is my favorite. Riding horses on the beach is so fun! Thanks for stopping by Ocho Rios Vacations. Hi there, I love to travel to beach destinations and as soon as I saw the photo I fell in love. The place has so many things to do and see, both during the day and the nightlife sounds great. I am also a great lover of seafood and i can see that it abounds. You’ve really covered all I need to know here. Great Paul and thank you! Thank you very much for this wonderful post, I find this really helpful.i have heard more than a couple times than ocho rios is such an amazing place and I hope to travel there someday.i am so displeased that the best time to swim is July, is no where near my vacation.but your reviews about the available hotels are amazing. Thanks Clement, actually the best time to go though is December 🙂 Maybe that fits better with your vacation time? Let me know if you have any questions. Oh! This just looks so inviting! I would love to go in July sometime, but I must say the threat of hurricanes would worry me-especially theses days where hurricanes seem to be picking up in intensity and ferocity. But, July is the middle of winter for us here in Melbourne Australia and the perfect time to go somewhere warm. I must admit I never thought Jamaica would cross my mind to go for a holiday, but your post as made me realise I should consider it! Thanks for the info. Very useful. Ocho Rios’s weather sounds just like Thailands weather. We call 76F winter lol Can you really do horse back riding in the water? I have seen on the shore but bot the water! 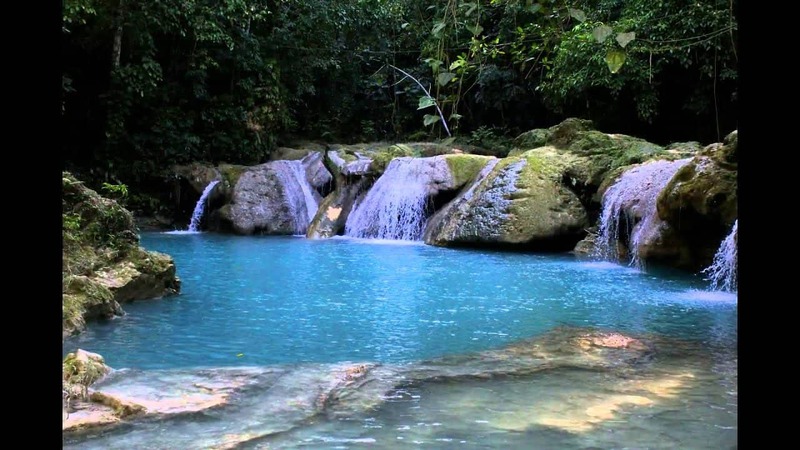 Dunn’s river falls and park and blue hole are breathtaking I definitely want to visit. Do they get crowded? When is the best to visit without having to deal with many people?I definitely want to stay at Hermosa Cove, so beautiful. Thank you for this amazing list! You are very welcome and 60 is cold for me LOL.. Yes, you can ride horses in the water, it is a lot of fun! The falls can get crowded, depending on when you go. They have great weather year round, so any time is great, except hurricane season. I think you are going to find mid April to mid November to be the least crowded but you can also have the possibility of storms or a hurricane then. Please let me know if you have any other questions. This was a very informative article! I haven’t heard of Ochos Rios before and I’m amazed at how much tourist activities they have to offer. It sounds like an endless amount of fun. I will definitely put this on my list of vacation destinations. I love how the best months to go are close to the end of the year. That makes it much more affordable versus going in the summer. Yes, and you can escape the cold as well 🙂 I love going somewhere warm when it is cold back home. And yes, Ocho Rios is beautiful and you won’t get bored. Thanks for visiting Ocho Rios Vacations. Wow, I just can’t believe how much of this world I haven’t seen and how beautiful it is. It’s overwhelming and inspiring all at once. I have not been to Jamaica, but I would love to go. My kids are small right now…I feel like this kind of trip would be easier in a few years when they’re either a) older and easier to take places, or b) can stay with family while we go as a couple. Your suggestions look wonderful, and I hope I can work out a trip there in the near future. Hi, Leahrae. Thank you for your informative site. 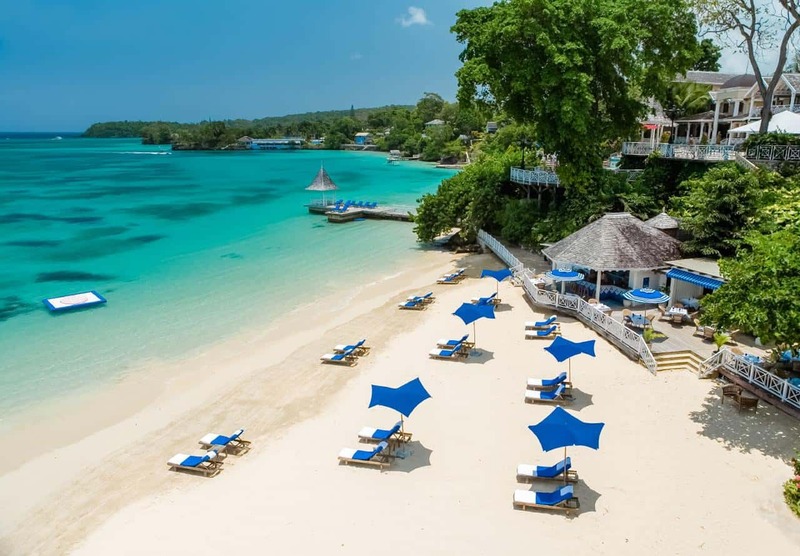 Ocho Rios looks like a very beautiful place for honeymoon vacation. I will definitely bookmark this place for my next vacation plans. I am wondering if English is the common language there or if I need to be prepared with any other language dictionary? Love your site! The official language in Jamaica is English, so you are good to go there. 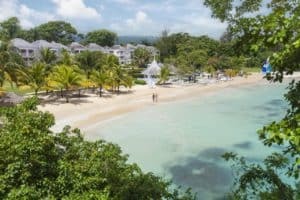 And yes, great honeymoon spot, but also great for anyone that loves the sunshine, a good beach, the ocean and of course all there is to do in Ocho Rios. This makes me want to visit Jamaica more now than what I did prior to reading all the places there are to go here! I had no idea that you could experience this many great adventures in that country with all the places to see and explore. Green Grotto Caves would be the one thing that would be at the top of my list to visit first caves fascinate me and this one looks splendid. Next would be Shark Park Gardens wandering through all the glorious vegetation seeing and smelling the aromas. And no I would not want to stop there but I will because your space is not large enough for me to keep going. You are very welcome Susan, and I am glad you enjoyed my Ocho Rios Vacations post. Thanks for stopping by. When I saw you wrote about 84 degree water, I was sold. 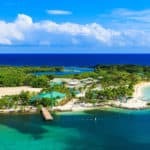 I can’t say how long I’ve been wanting to go to Jamaica, but it’s been most of my adult life, and I’ve just never done it. My husband and I planned a trip many, many years ago, and then I found out I was pregnant for twins, and we decided our money would be needed elsewhere, lol, since I decided to be a stay-at-home mom. Fast forward, my children are grown, and I have yet to get to Jamaica. That’s funny that they actually want to see your evidence of departure, ha ha. We should try that here in the good ol’ USA, eh? They want to make sure you aren’t planning to overstay your welcome. I think I would definitely want to avoid the hurricane season, seeing all the devastation that has befallen islands as of late from these horrific storms. That would be too scary. I guess I would pay more, but I’m not much for an adventure like that. You’ve once again ignited my appetite for this gem of a destination. Thanks for the great information. I live in an area where we get hurricanes, and it is scary. Knock on wood, so far my house has weathered two (one each year since I have been here). So yes, I think I would skip a visit during this time as well. I would pay more for the continual beautiful weather. I think its your time Babsie to enjoy a nice relaxing vacation! Jamaica has been on my to do list because I’m a huge cricket fan. Can’t believe you didn’t mention the cricket! Although this would be played in Kingston. At least I’ll know to visit Ocho Rios when I finally get to booking my trip to the Caribbean. Looks amazing and seems family friendly with enough to keep us all occupied. Yes, plenty for the whole family for sure! For me, I would stay in Ocho Rios and travel to Kingston for the cricket 🙂 But then one of the main reasons to go for me is the sunshine, beautiful beaches and the ocean. Add in all the other things to do, and it makes a perfect vacation. Hello, I love how your article is detailed! I have been planning a vacation to Ocho Rios, so am glad I found your website! It really provided me everything I need. I just have to decide on which of your hotel recommendations I want. Thanks! I can recommend your site to anyone. Great Raymond and I am glad I could provide everything you need for your upcoming vacation to Ocho Rios. If you need anything else, please let me know. It’s my pleasure to come back here any time I need something to make me feel better. Like exploring the options for a dream vacation would do. Honestly, I think I’m in love with the “Blue Hole”, it looks like a little piece of heaven on earth. Considering that I may find time only in January, do you think that I can find something more affordable than $700/night? Hi Boby and thanks for reading! Yes, I think if you plan ahead (like now if you want to go this January) then you could find something less expensive for sure. If you click on my recommended hotels and plug in your dates, that will give you an idea of the prices. If you were to start planning for next January, you would most definitely get a much better rate.